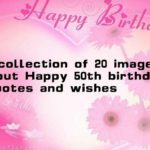 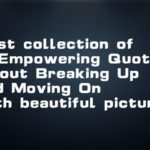 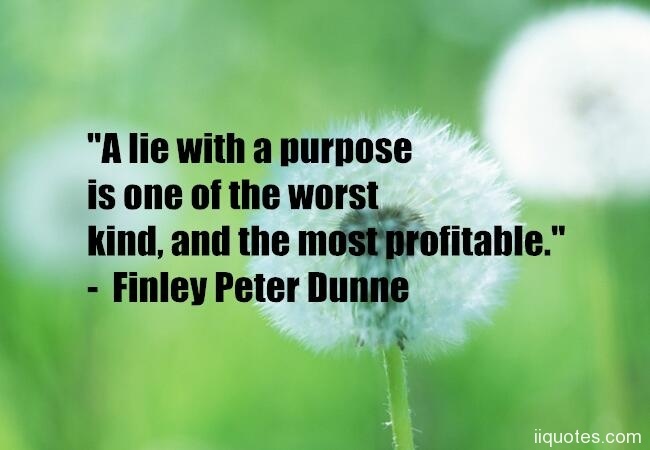 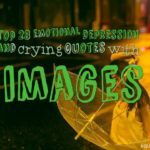 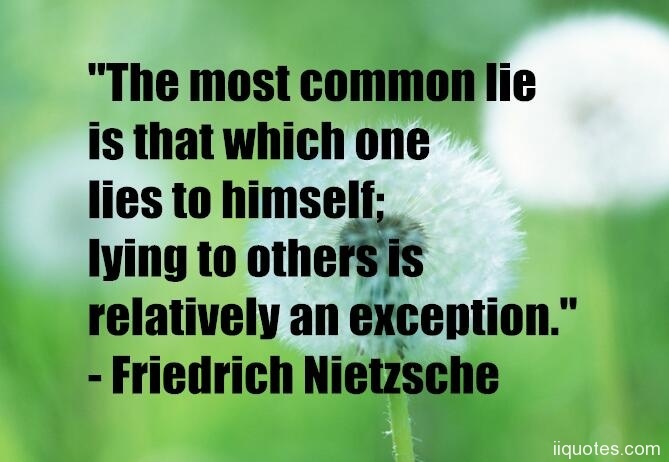 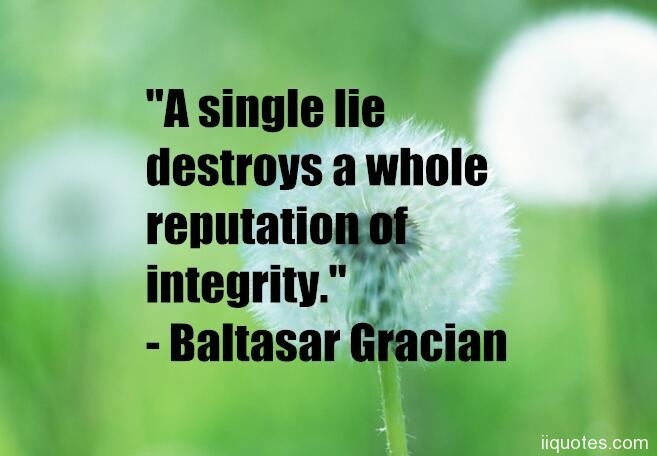 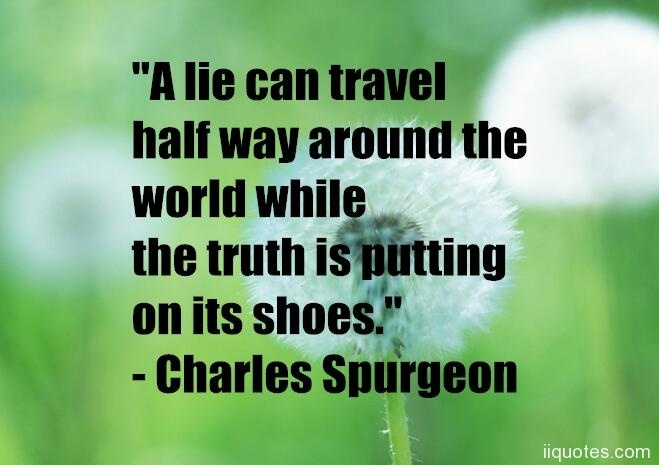 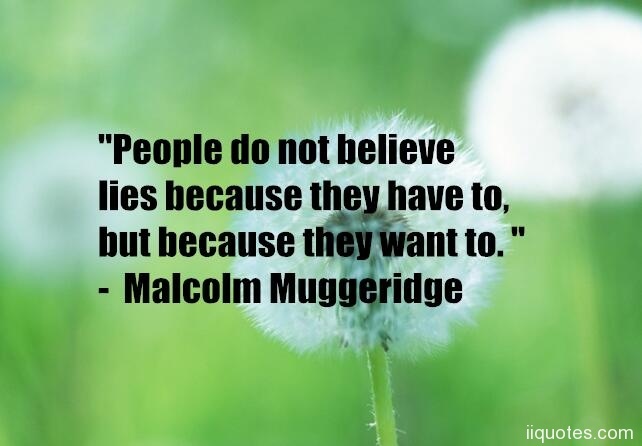 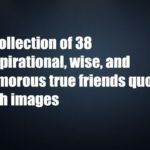 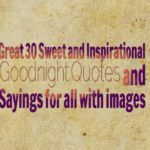 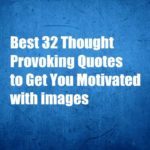 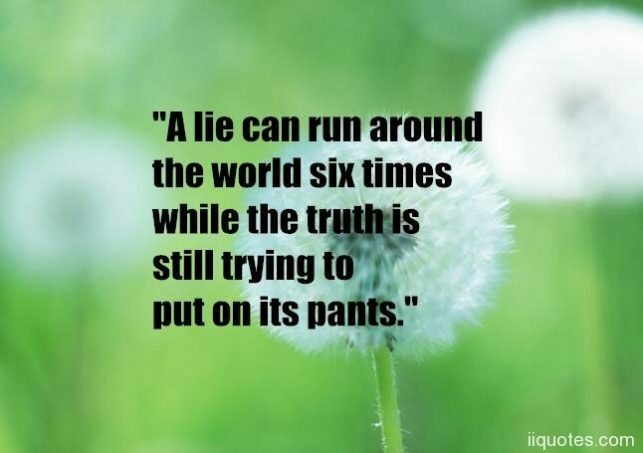 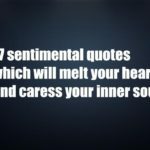 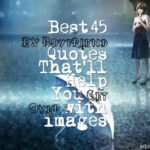 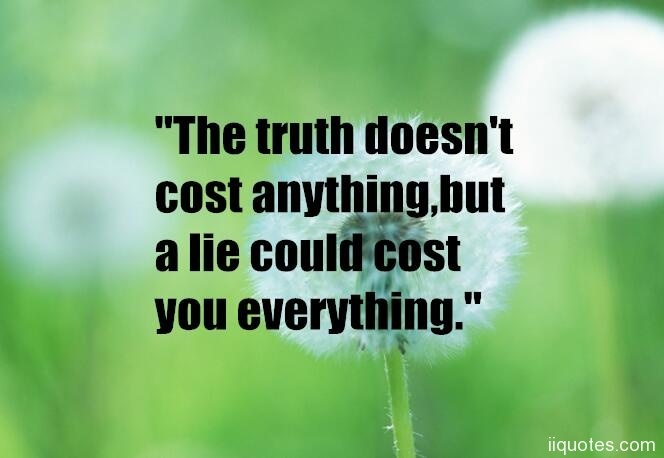 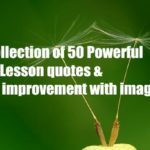 A collection of inspirational, wise, and humorous Lies quotes and Lies messages,A list of the best lies and lying quotes and sayings.Enjoy our living a lie quotes collection. 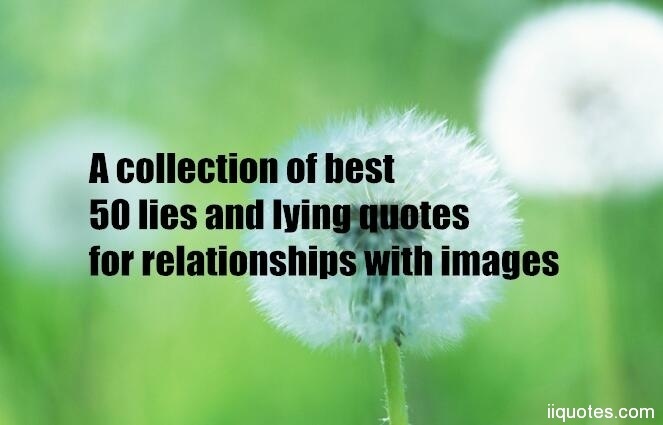 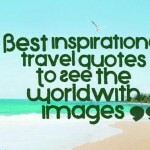 Best living a lie quotes selected by thousands of our users! 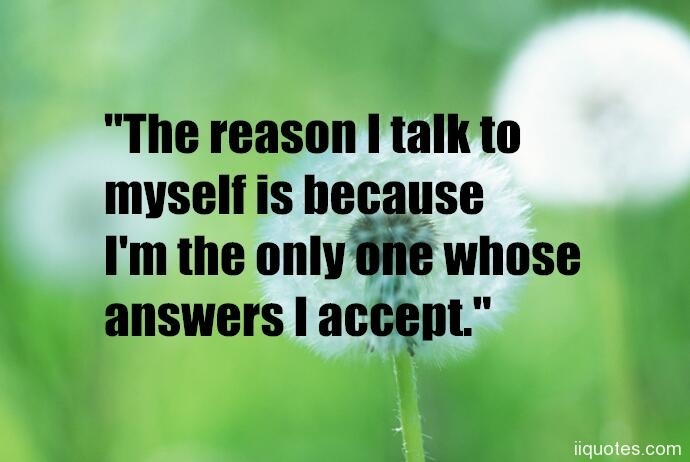 "The reason I talk to myself is because I'm the only one whose answers I accept." 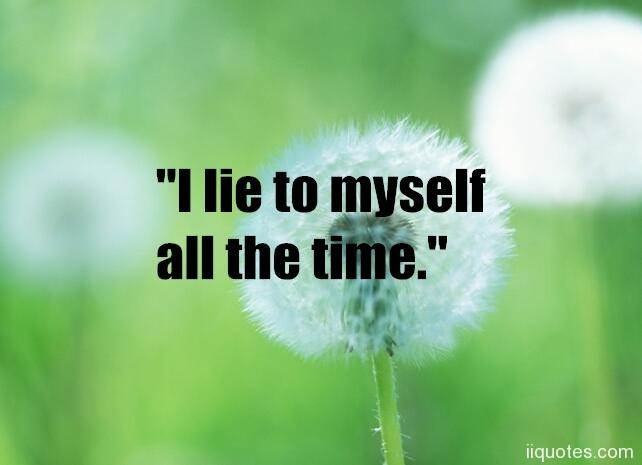 "I lie to myself all the time." 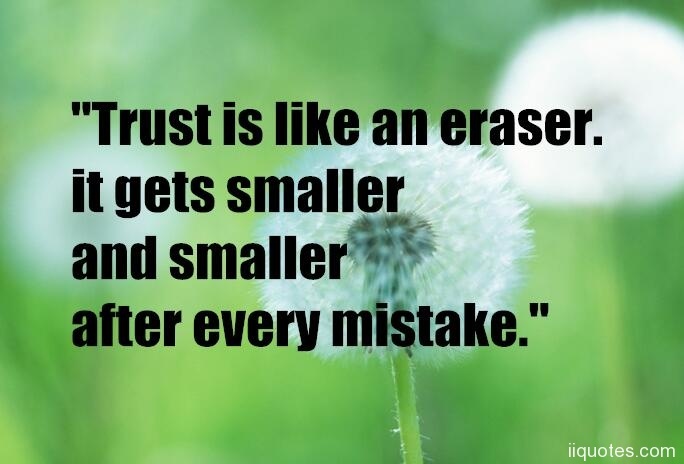 "Trust is like an eraser.it gets smaller and smaller after every mistake." 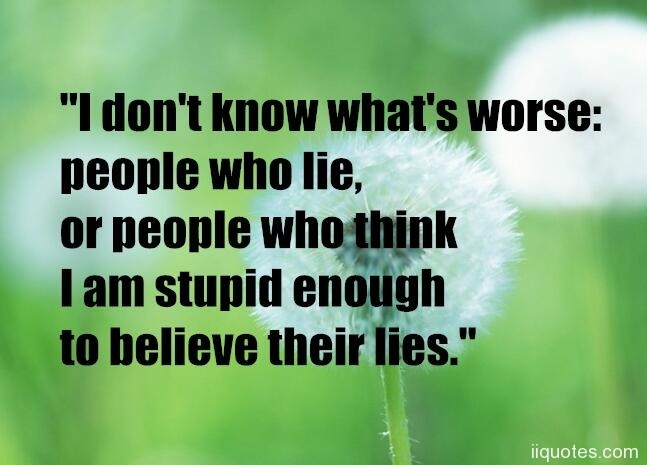 "I don't know what's worse: people who lie,or people who think I am stupid enough to believe their lies." 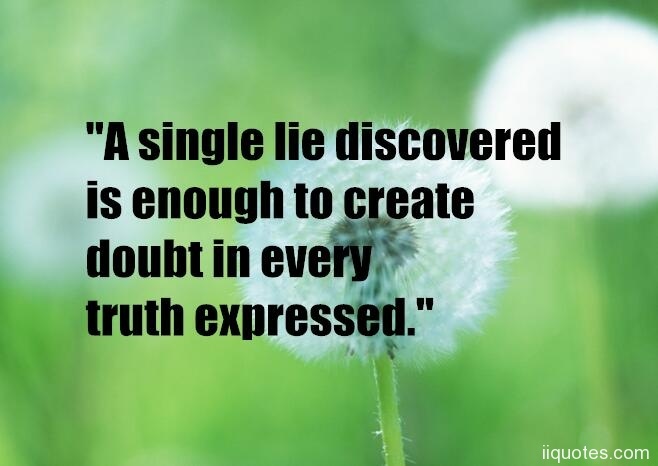 "A single lie discovered is enough to create doubt in every truth expressed." 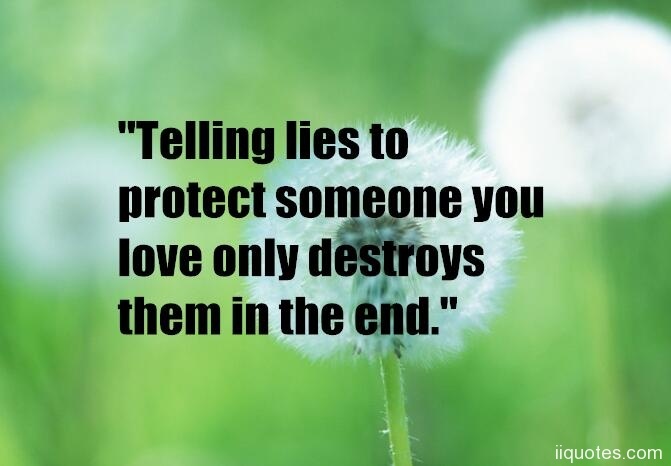 "Telling lies to protect someone you love only destroys them in the end." 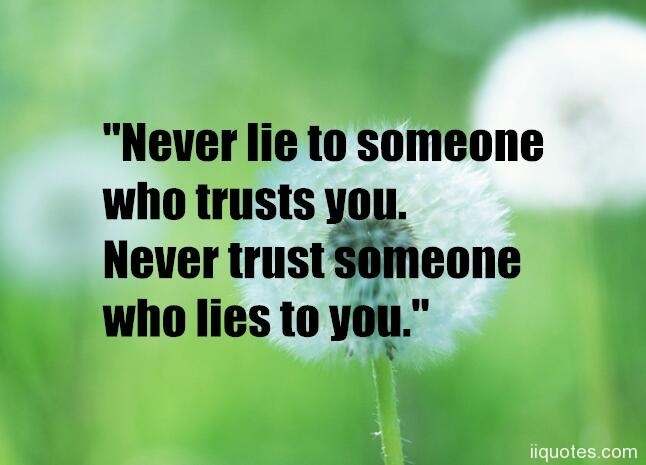 "Never lie to someone who trusts you. 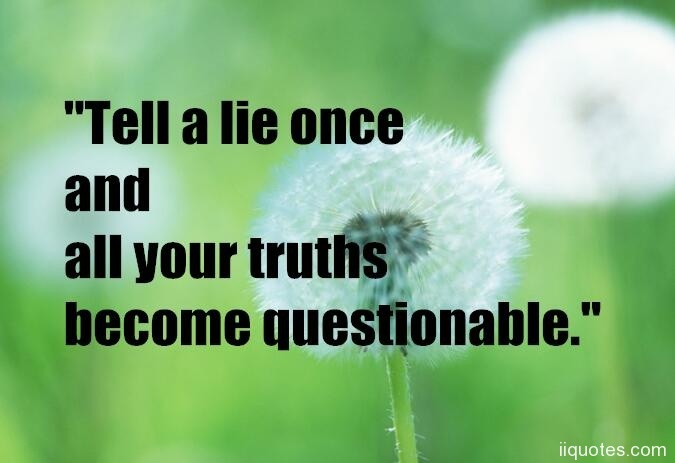 Never trust someone who lies to you." 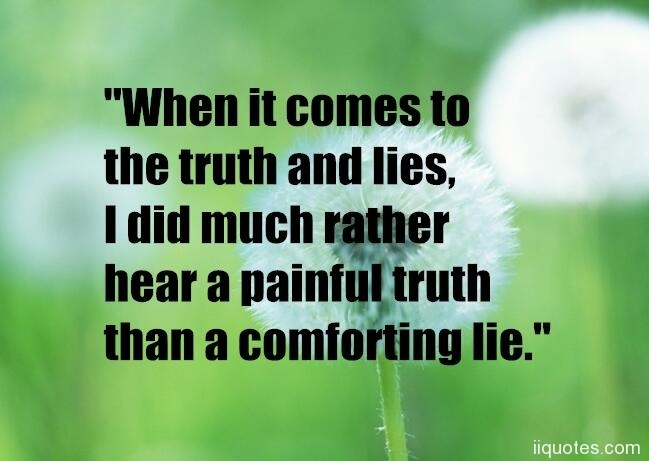 "When it comes to the truth and lies,I did much rather hear a painful truth than a comforting lie." 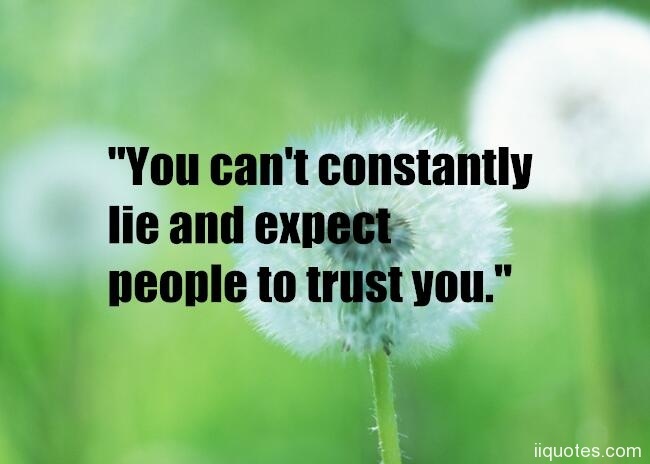 "You can't constantly lie and expect people to trust you." "The worst thing about being lied to is knowing you weren't worth the truth." 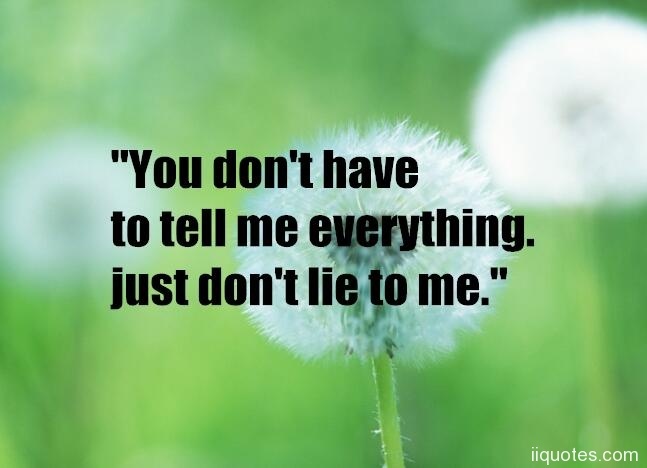 "You don't have to tell me everything. 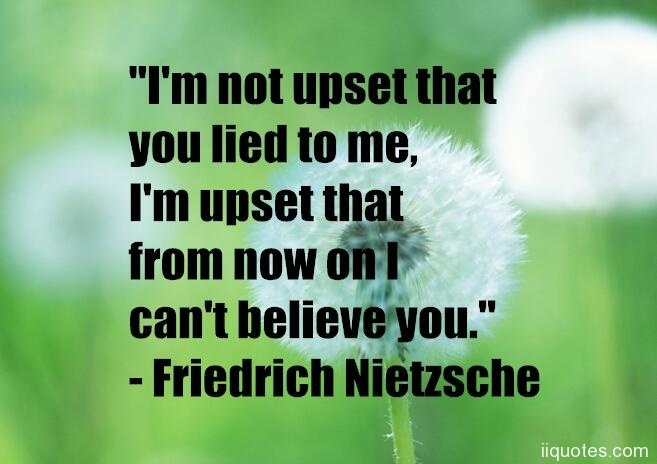 just don't lie to me." 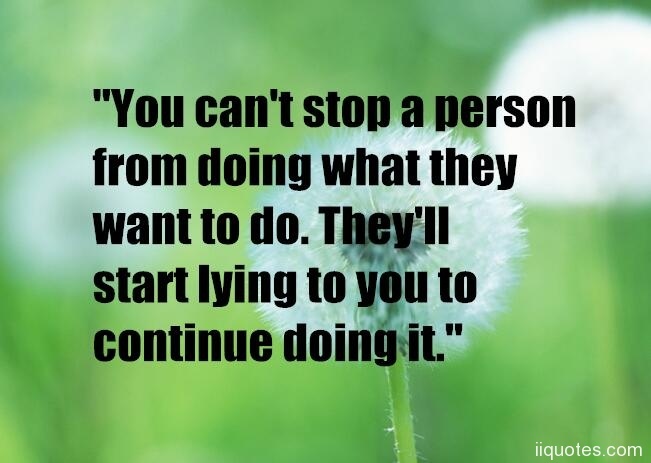 "You can't stop a person from doing what they want to do. 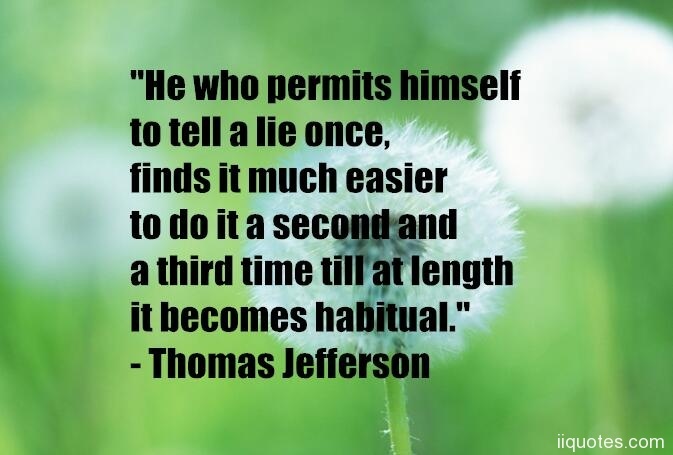 They'll start lying to you to continue doing it." 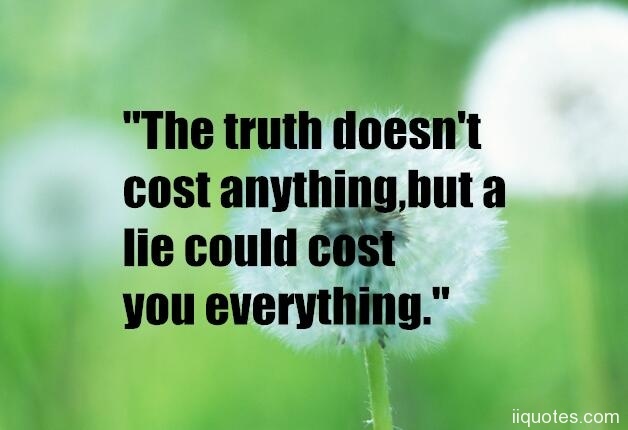 "The truth doesn't cost anything,but a lie could cost you everything." 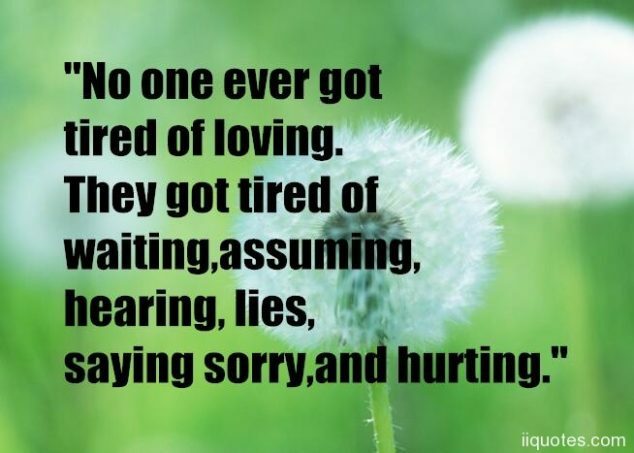 "No one ever got tired of loving. 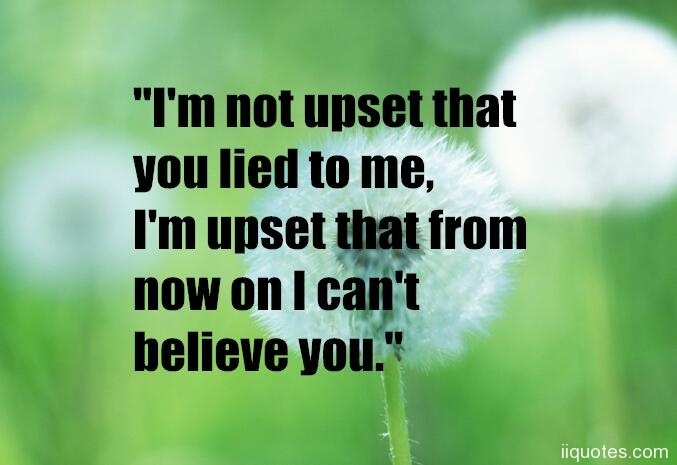 They got tired of waiting,assuming,hearing lies,saying sorry,and hurting." 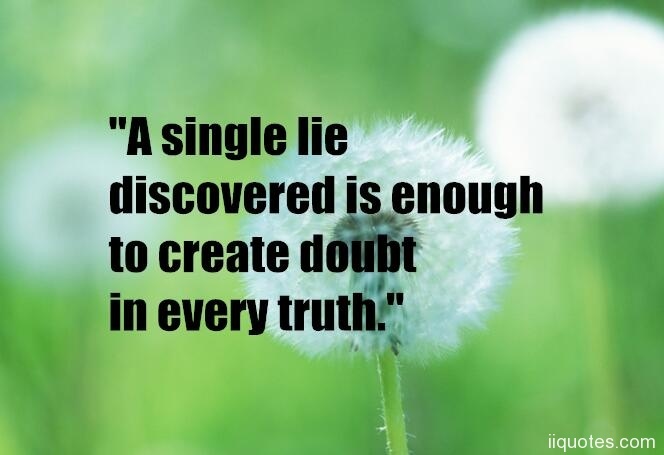 "A single lie discovered is enough to create doubt in every truth." 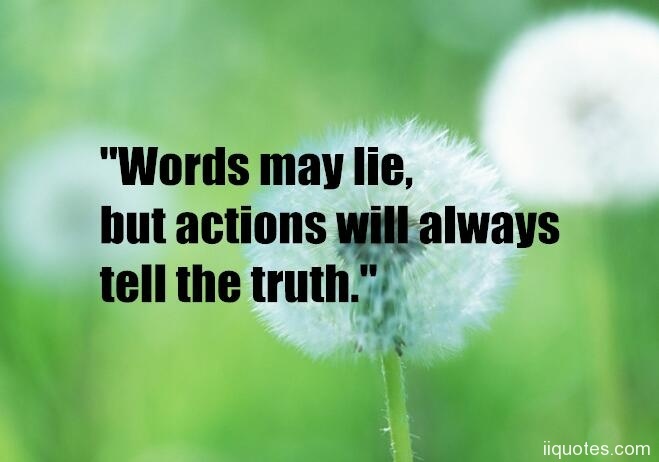 "Words may lie,but actions will always tell the truth." 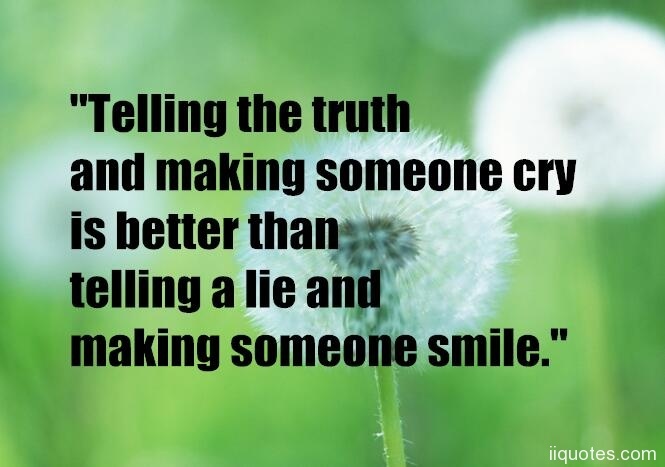 "Telling the truth and making someone cry is better than telling a lie and making someone smile." 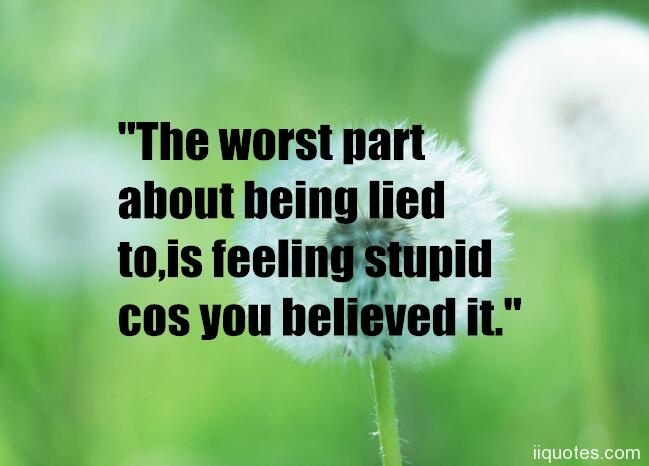 "The worst part about being lied to,is feeling stupid cos you believed it." 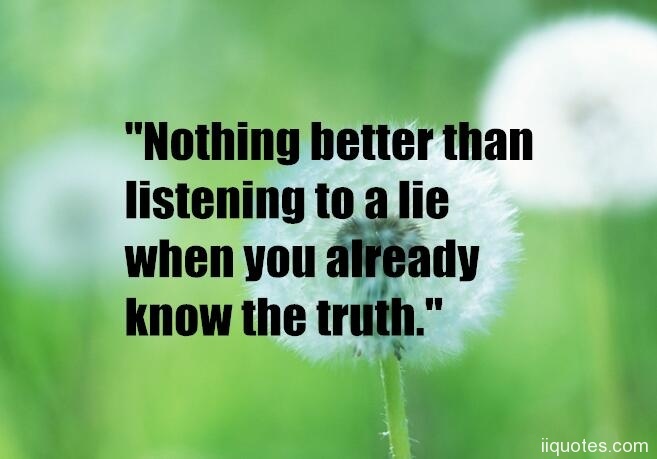 "Nothing better than listening to a lie when you already know the truth." 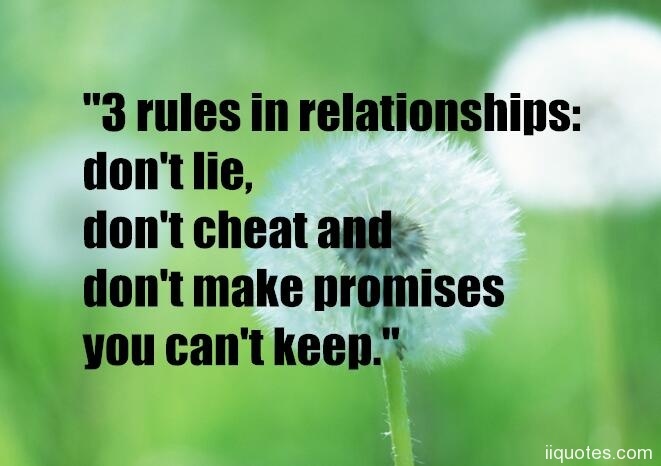 "3 rules in relationships: don't lie,don't cheat and don't make promises you can't keep." 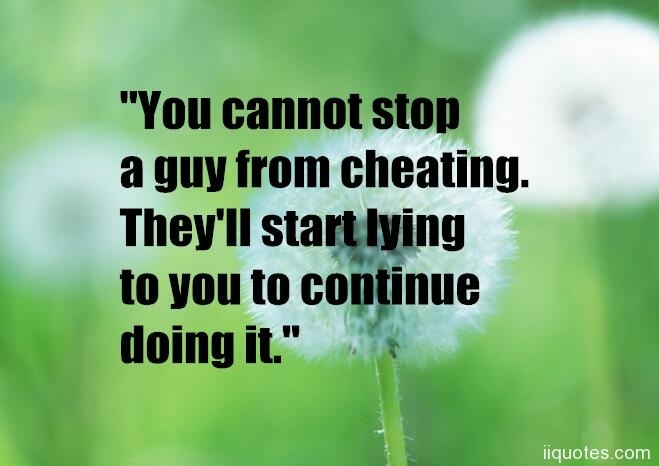 "You cannot stop a guy from cheating. 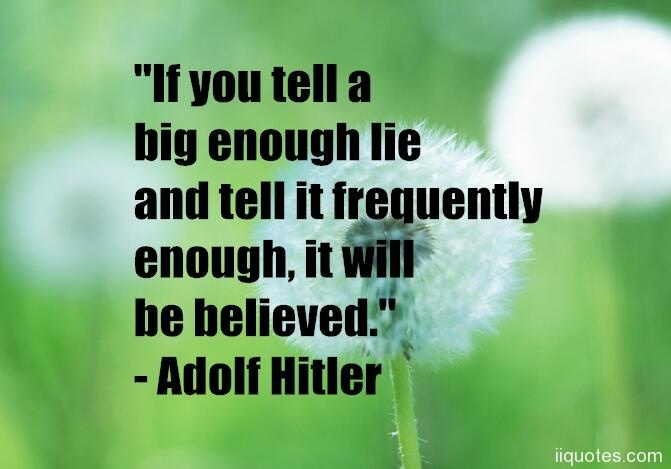 They'll start lying to you to continue doing it." 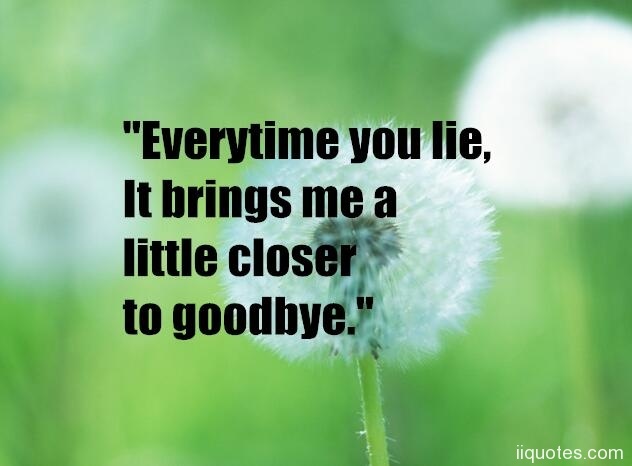 "Everytime you lie, It brings me a little closer to goodbye." 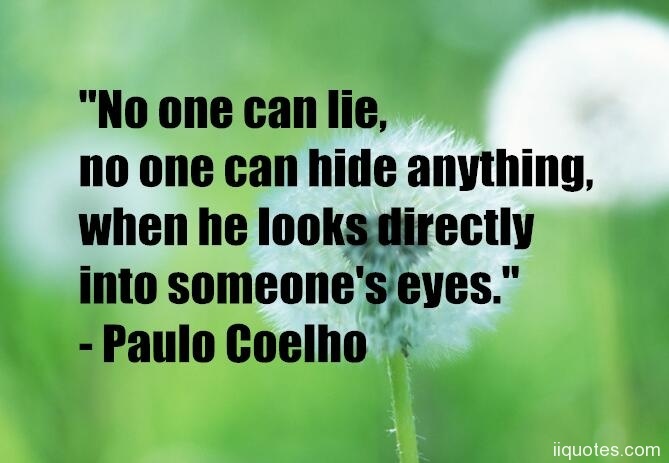 "Never lie to the person you love. 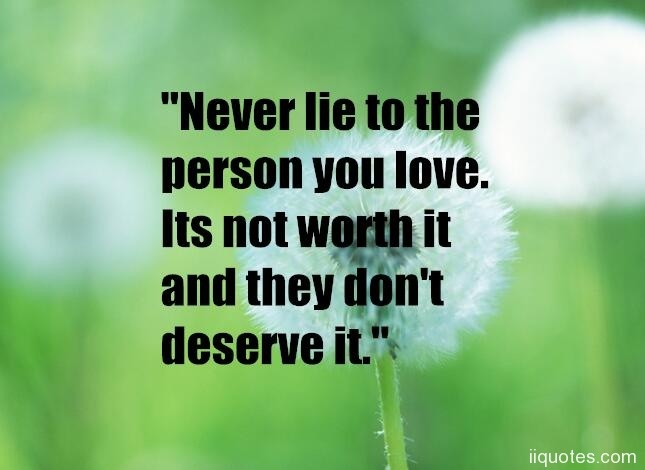 Its not worth it and they don't deserve it." 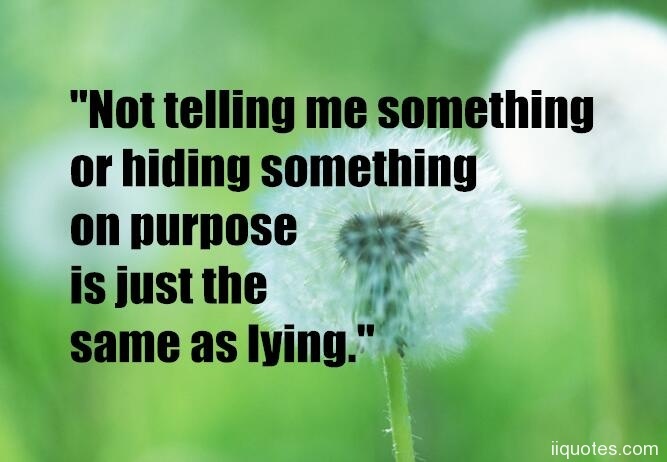 "Not telling me something or hiding something on purpose is just the same as lying." 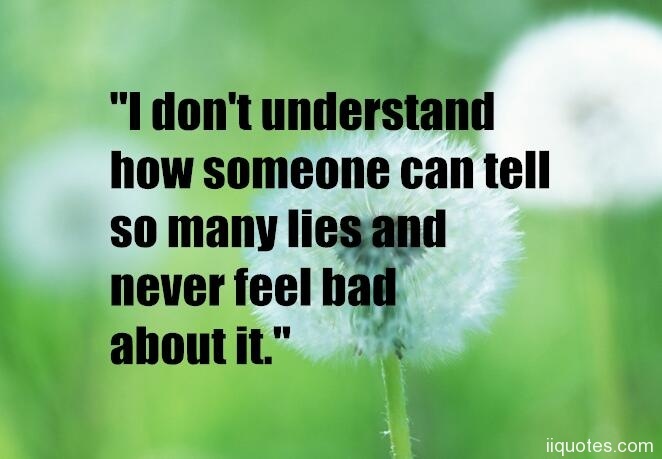 "I don't understand how someone can tell so many lies and never feel bad about it." 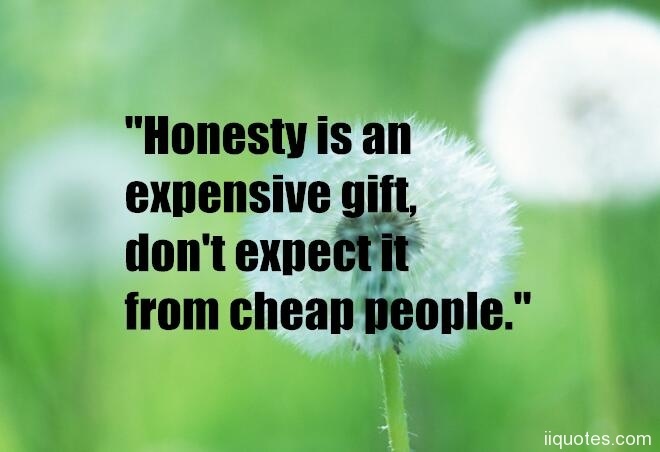 "Honesty is an expensive gift,don't expect it from cheap people." 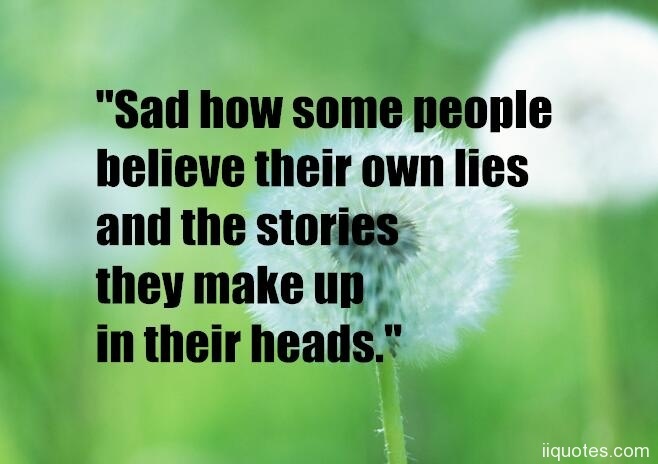 "Sad how some people believe their own lies and the stories they make up in their heads." 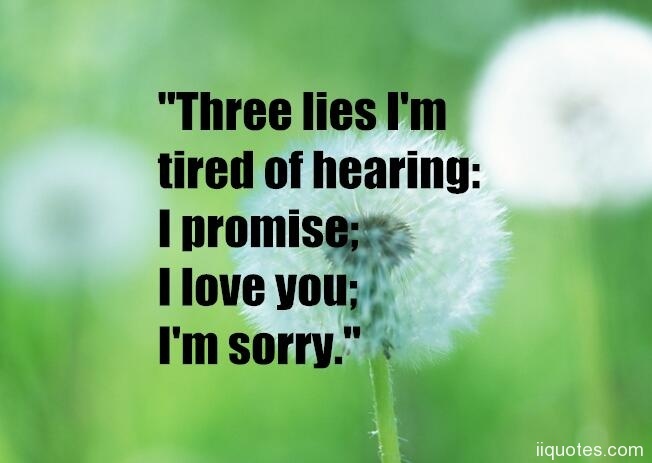 "Three lies I'm tired of hearing: I promise;I love you;I'm sorry." 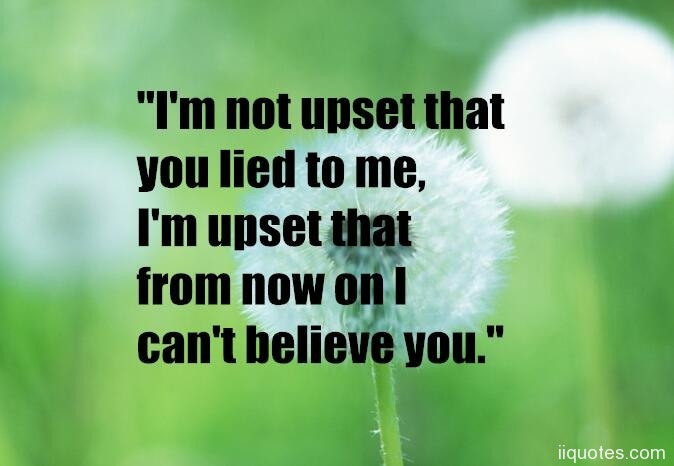 "You don't lie to the person you love. 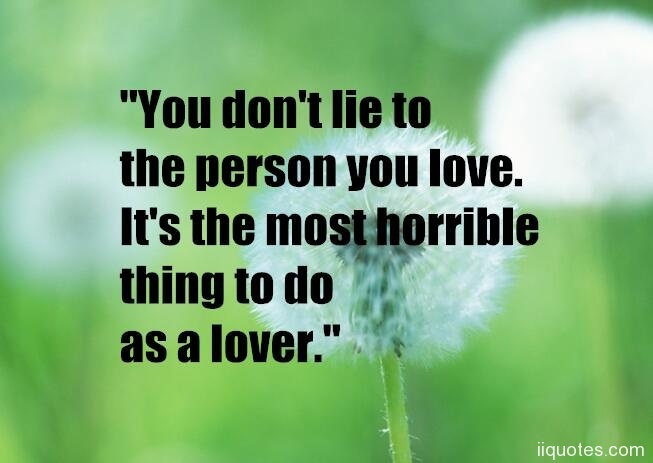 It's the most horrible thing to do as a lover." 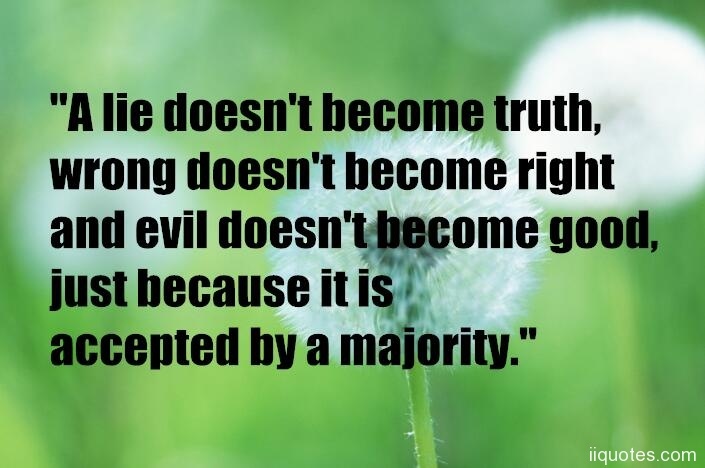 "A lie doesn't become truth,wrong doesn't become right and evil doesn't become good,just because it is accepted by a majority." 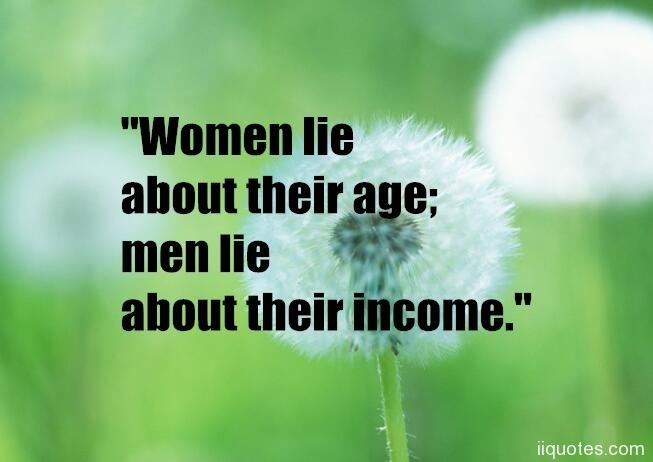 "Women lie about their age; men lie about their income." 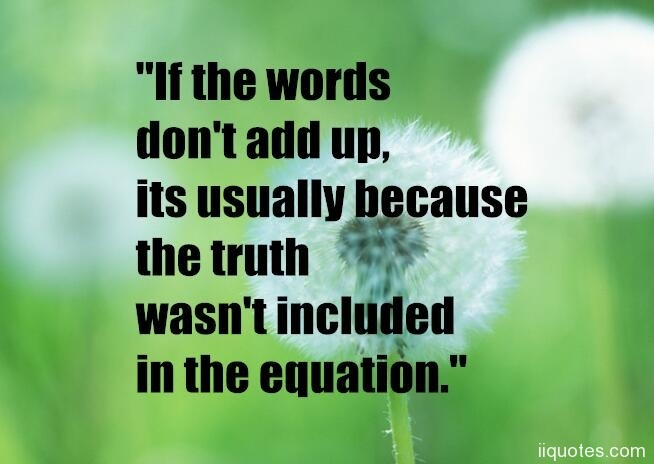 "If the words don't add up,its usually because the truth wasn't included in the equation." 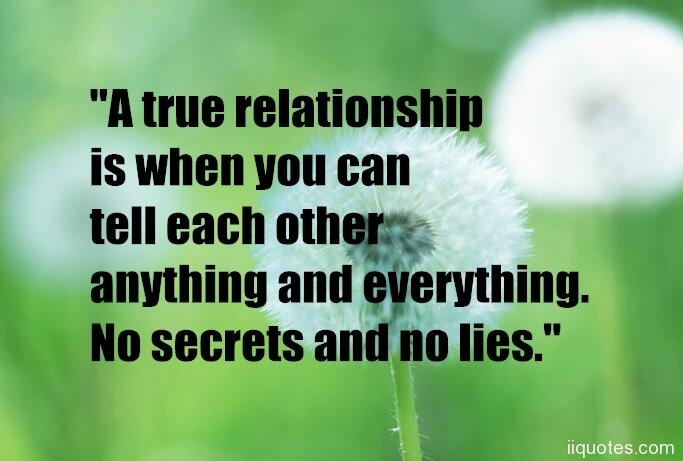 "A true relationship is when you can tell each other anything and everything. 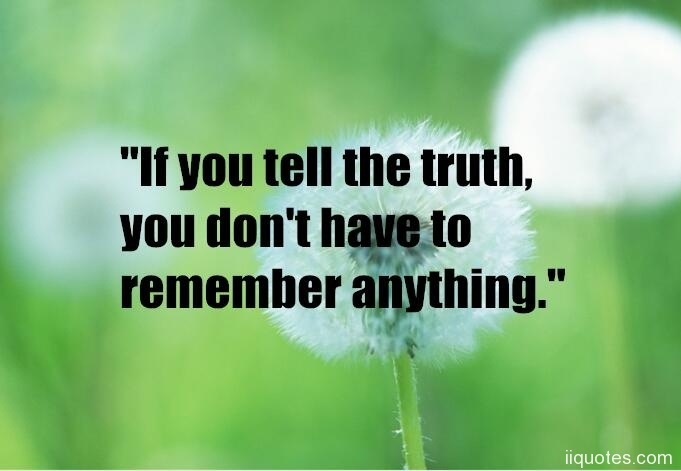 No secrets and no lies." 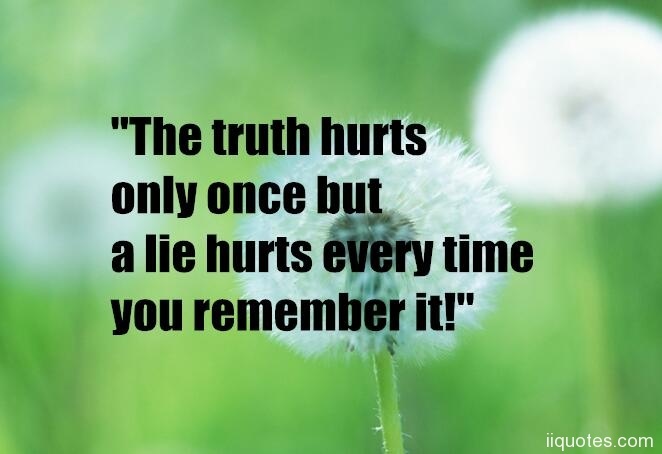 "The truth hurts only once but a lie hurts every time you remember it!" 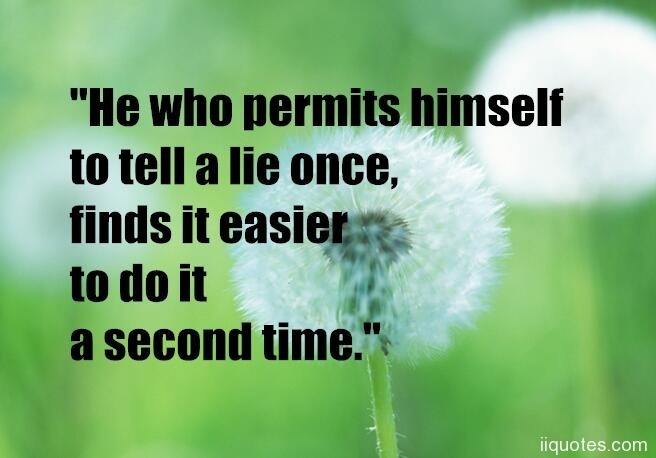 "He who permits himself to tell a lie once,finds it easier to do it a second time."